I’m happy to announce a series of new add-ons for BeerSmith Desktop. The new add-ons feature over 170 new yeasts, 32 hop varieties and 48 Misc items plus updates for Avangard, Bairds, Muntons and Rahr malts. Thanks largely to the efforts of fellow brewer Brian Young, we now have most of the latest hops, yeast and misc updates available as easy add-ons in BeerSmith. The names of the new add-ons are listed below. Thanks again to Brian Young for championing this effort! 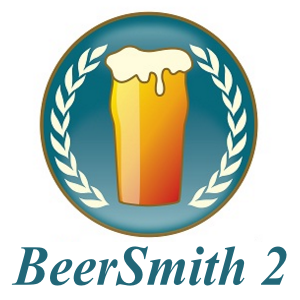 Note that you can download a free trial of BeerSmith 2 desktop here if you have not already downloaded it and I have a series of tutorials here on how to use it! BeerSmith 2.3 Update Released and Available for Download! is there and updated Thomas Fawcett and Sons grain update that includes the Dark Crystal Malt I 85L and Dark Crystal Malt II 120L or do i need to add them manually? I cannot import any ingredients. There are no add-ons visible in MacOS version 2.3.12 when I go to file > add-ons. I have installed them on MacOS on a previous installation in the past. I am connected to the internet/cloud, but nothing appears. Go to File->Add-ons and click on the add button from there. The first screen shows the add-ons that are installed which is probably why it is blank! In BS 3 it seems that a lot of hops are missing. For example Centennial, challenger etc. I have installed the add-on’s but still missing. Actually centennial, challenger and about 60 new ones are in the new version. I’m wondering if possibly some of yours got deleted or did not merge properly. Could you send me an email at beersmith at beersmith.com and I can send you the default hop file? Even with the Crisp update installed, I have to manually create malts. For example Crisp CaraGold and CaraMalt which i’ve recently bought from Maltmiller(in the UK). Can you add Ireks malts to the fermentables please?